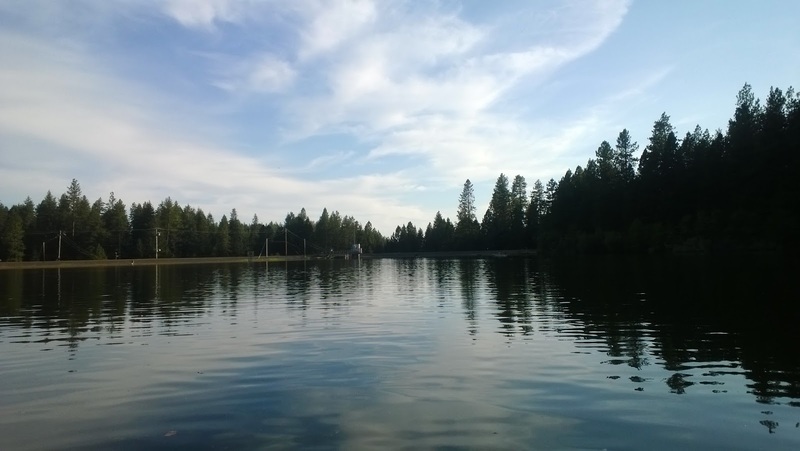 DeSalba Reservoir is a small body of water located along the Skyway heading eastbound towards Magalia. Unlike Magalia Reservoir and Paradise Lake, DeSalba is PG&E owned and is used for power rather than city use. The reservoir is very accessible and is easy to tube or kayak. DeSalba is a pond in comparison to Paradise Lake. 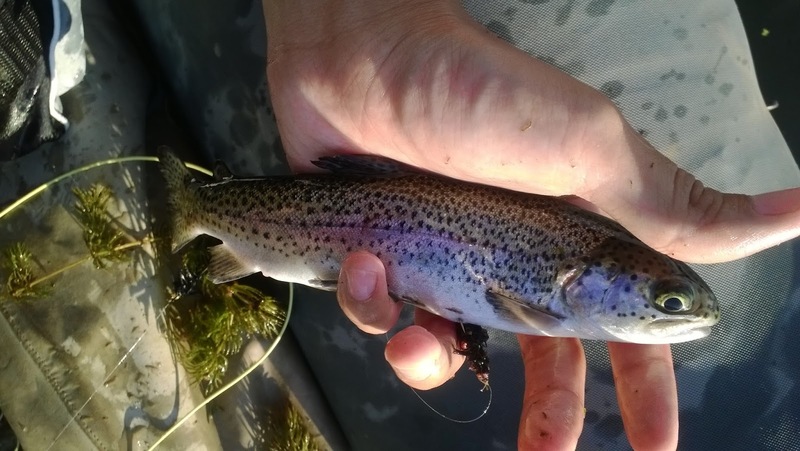 The reservoir is stocked with rainbow trout a few times during the summer and spring which can subject it to extreme fishing pressure after a fresh stocking. Most of the planters are "catchable-size" which is usually around 10-12''. These planters make easy fun for the kiddos and are good eating. Occasionally in the first few plants, DFG releases a few bigger fish around 16''-18'' but they are often caught early after being stocked. I've read about a few holdover browns and rainbows that get 2-5# but they are very rare. This was my first time fishing the reservoir. The first thing I did before deciding whether or not to make the trip was to check on the DFG website to see if there was a recent planting. The fishing can be a bit tough if not stocked, but beneficially there is a lot less pressure. It turns out that the reservoir was stocked sometime this week. There were going to be more anglers on the water but my chances of coming home with dinner was good. After the 30-40 minute drive from Chico to DeSalba, I parked and set up my float tube. The reservoir was very occupied with several boats out and quite a few families on the bank. Everyone was catching fish. Fly anglers that were trolling around the lake seem to outfish the bait anglers. Dark small buggers were working the best but I had a few takes on a soft hackle. Trolling is absolutely boring in my opinion but it was working very well, I tried to find the biggest fish by dredging and stripping bigger flies but only small trout were biting. At last light there was a nice hatch of tricos and caddis by the dam but I couldn't figure out what they were eating. 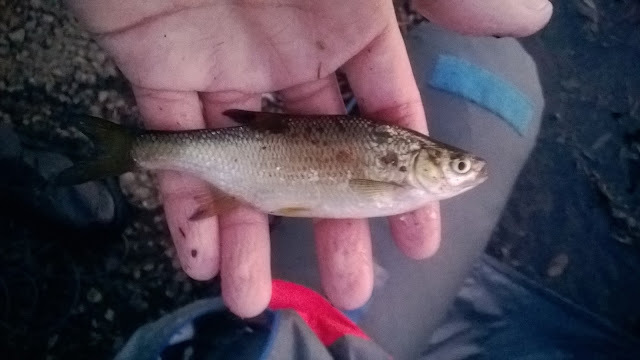 My dries didn't work but I did manage to catch my first golden shiner on a soft hackle before heading home. The 6WT rod I used was a bit too much for these planters. If I ever head back out to DeSalba, I'm going to bring either my 2WT or 3WT. Although a mediocre C&R fishery, DeSalba is a great place to take your kids fishing and fill your freezer. Sounds like a fun trip, man. Small stockers though! Yeah they were but I caught two for dinner and they were good. I'm pretty much trying to work on how to fly fishing stillwaters better.